The International Council on Security and Development (ICOS), a think tank with offices in London, New Delhi, Rio de Janeiro and Sharjah (UAE) has just released the results of a survey involving 1500 Afghan men interviewed in October. Conducted in the northern provinces of Parwan and Panjshir, and the southern provinces of Helmand and Kandahar, it contains a major surprise. 92% of respondents in the Pashtun-dominated south are unaware of 9/11 events, or their relationship to the presence of foreign troops. Perhaps we shouldn’t be surprised at the 92% figure. After all, Afghanistan is one of the least literate societies on earth, and a 2005 report indicated that any “press is scarce in rural areas.” The radio is the most widely used method of communication in Afghanistan, but there are fewer radios per capita than in any other country on earth. There are only 5.6 radios per 1000 people in the country. (Bhutan, ranks immediately ahead of Afghanistan on a list of 212 nations. There there are three times as many radios—16.5—per 1000 people. In Haiti and Somalia there are more than 50 radios per 1000 people.) The Afghans are not just benighted in their illiteracy, but terribly lacking in access to basic communications technology. As we will see the illiteracy problem, and general lack of education, has become a major headache for the invaders who arrogantly toppled the old regime and imposed an occupation seeking to remake Afghan society. In 1978 literacy throughout Afghanistan was estimated at 11.4 % (18.7 % male; 2.8 female). By 1993 the overall literacy rate had risen to 29.8 % (45.2 % males; 13.5 % females), reflecting the influence of the Soviet presence and the secular government’s education policy. Under the regime of the warlords and mujahadeen that toppled the secular government, literacy fell slightly to 28.1% (43.1% males; 12.6% females) in 2000. This placed Afghanistan at the rank of 199th lowest out of 201 countries, with only Chad and Burkino Faso scoring lower. The CIA Factbook cites the 2000 figure. UNICEF estimates a 28% literacy rate between 2003 and 2008. An April 2008 report by the Afghan Ministry of Education gives a slightly more optimistic picture, indicating total literacy may have risen 6% between 2000 and 2005. 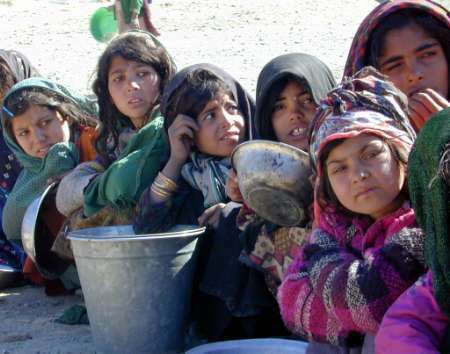 “With no current census, accurate literacy statistics for Afghanistan are not available. According to Afghanistan’s Millennium Development Goals Report (2005), the estimated literacy rate of those aged 15 and above was 34% in 2004 (50% for men and 18% for women). In rural areas where 74 % of all Afghans live, however, an estimated 90 % of women and 63 % of men cannot read, write and do a simple math computation. . . The rates are only somewhat better in urban areas.” But UNESCO reported in September 2010 that the literacy rate among Afghans over 15 was down to 26% (12% among women). In other words, there has been no significant progress since the U.S. and its allies invaded and occupied Afghanistan nine years ago. In 2006 the Ministry of Education announced a “Five Year Strategic Plan” to reach a goal of 50% literacy by 2010. (It had a target budget of $ 125 million, but only $ 15 million available at that time.) But, as the UNESCO report noted, the government now plans to meets its goal five years later than announced in 2006—the target year is now 2015. There are no end to rosy reports about this or that NGO-staffed literacy project. One called Help the Afghan Children (HTAC) provides education to 23,000, and its associates collect school supplies for Afghanistan in the U.S., establishes sister-school relationships between U.S. and Afghan institutions, etc. A Japanese NGO is teaching 180 women and girls. The U.S. military, to build good will, also educates some children. Members of the Combined Joint Task Force 101 Human Terrain Analysis Team in Bagram teach children and women who visit an Army-run hospital two days a week. One wonders what language they’re teaching them. Anyway it’s all a drop in the bucket. The only period in recent Afghan history when there was an appreciable, rapid increase in literacy was during the pro-Soviet “Democratic Republic” era, when as the figures cited above show, total literacy increased by 62% (from 11.4 to 29.8%). For males it increased 59%, for females 79%. One has only to look at the literacy figures in the former Soviet republics of Uzbekistan (99.3%), Tajikistan (99.5%), Kyrgyzstan (99%), Kazakhstan (99.5%) and Turkmenistan (98.8) and compare them with those of Afghanistan (and of Pakistan, which has an adult literacy rate estimated at between 50 and 57%, the female figure at between 36 and 45%) to realize that the basis for backwardness isn’t cultural or ethnic. There have been past eras in which the region was anything but “backward.” The Hellenistic kingdom of Bactria, with its capital at Balkh, was among the most advanced in the ancient world. Balkh was a key city on the Silk Road through the seventh century, a hub of trade connecting that leg of the route that led west all the way to Antioch, and the leg that led through Central Asia to the Chinese capital. It was a center of both Buddhist and Zoroastrian learning, hardly a backwater. Why did Afghanistan plunge into the nations of lowest literacy rank? I don’t know. Maybe it has something to do with multiple invasions over centuries (Arabs, Mongols, Turks, British, etc.) and the cultivation of a particularly anti-intellectual Islam as a defense mechanism. In any case, why has the U.S.-led occupation force and the regime it placed in power been unable to dent the illiteracy figure in an interval as long as the Soviet occupation that produced fairly dramatic results? In the 1980s the drive to educate girls and women was ferociously resisted by the jihadis bankrolled by the CIA and U.S. ally Saudi Arabia. (The Saudi mujahadeen were of course led by then-U.S. ally Osama bin Laden.) Such people want to confine women and girls to the home, in non-threatening ignorance. The concept of coeducation is abhorrent to them, as is the prospect of a male doctor even handling the wrist of a Muslim female to measure her pulse. The U.S. was comfortable with all this anti-intellectualism and misogyny so long as its proponents were willing to cooperate to “defeat communism.” Ironically the illiteracy they positively promoted then by backing the most extreme Islamists has come back to haunt them now. The invasion from October 2001 toppled the Taliban, one faction that had emerged from the anti-Soviet holy warriors with Pakistani support. But that has not eliminated their capacity to discourage school attendance. More than 3,500 schools were built between 2002 and 2008, according to the Ministry of Education, but in the latter year over 600 had been closed due to Taliban attacks and threats. In Helmand province, only 54 of the 223 schools (mostly for boys only) that had operated in 2002 were open, and in Kandahar, Zabul and Urozgan, up to 80% of the schools were closed. Thus over 300,000 students were being deprived of an education. How can U.S. troops boast of their good work in building schools when no one can attend them, or students are terrified to do so? But it’s not just the Talibs who are hostile to education. There are attacks on female students even in the capital of Kabul, from people who basically support the new regime. They too put pressure on girls reaching puberty to quit school in order to marry and serve their families, sometimes attacking them violently when they refuse. The conflation of the Taliban and fundamentalist Islam in Afghanistan was always simplistic. The Taliban never had a monopoly on conservative Islamist thinking, and just as the occupation has not eliminated the wearing of the burqa, it has not changed the way that most Afghans think. So on the one hand you have the invading, occupying soldiers, trained to think the “Hajjis” they’re killing somehow deserve it because they “attacked us.” Some of these guys have posters on their barracks walls showing bin Laden and Hussein next to one another. They’ve been encouraged all along to link al-Qaeda with Iraq. How much more reason to link it with Afghanistan where bin Laden operated training camps? Never mind that those were established with assistance from the CIA and Pakistan’s ISI, that bin Laden was there before the Taliban took power, and that the Taliban leadership to say nothing of the rank and file may have been clueless about the 9/11 plot. Neocon strategy has always been to conflate disparate Muslim targets, exploiting ignorance and encouraging hatred and fear to obtain geo-strategic goals. Despite the pro forma cautionary remarks the troops may hear from their commanders about respecting Islam, some conclude that Islam is indeed the problem. Haven’t some of the top brass encouraged them to do so? And hasn’t such cultural and moral illiteracy produced (in the minds of some) a lust for collective punishment, including random killings for sport? On the other hand you have uneducated Afghans who, while accustomed to the presence of foreign invaders (a near-constant in Afghan history), don’t quite understand the present invader’s justification for his own presence. 40% of those polled think the foreigners are occupying Afghanistan as part of a campaign to destroy Islam. So the GI filled with a sense of revenge and self-righteousness busts into a home and terrorizes the residents, while the latter have no clear idea why he’s killing, binding, arresting, and humiliating them. They don’t know that he (thinks he) is seeking out bad guys who, if they take over the Afghan state, will sponsor terrorists who will strike the U.S. again. They might find that whole story beyond imagining. Their country, their village, a threat to this powerfully armed intruder from seven thousand miles away? It doesn’t make any sense. The natural default understanding is that he and his comrades are hostile to their religion. I think that Canby was a little off base. (For one thing, “totalitarianism’ requires deployment of propaganda through modern mass media that doesn’t exist in Afghanistan.) Kessel was plausibly depicting the mindset of proud, fiercely independent tribesmen little concerned with and largely ignorant of the outside world. Uraz probably wouldn’t have known about things like the Cuban Missile Crisis, just as so many today are clueless about 9/11. (44% of the Afghan population is under 15 and many don’t remember much that happened in 2001.) Uraz isn’t a warlord, Islamist militant, or evil man. He’s just an unsophisticated guy reflecting his culture. Recall that U.S. public opinion was once solidly in favor of this war. To suggest that it was anything other than the obvious, natural, legitimate response to 9/11 was once enough to invite fisticuffs in some circles. They attacked us! We have to respond! (And to respond, as Rumsfeld put it, to “things related and unrelated”—al-Qaeda, the Taliban, Iraq, Syria, Iran… To “make no distinction” as Bush put it “between terrorists and states who harbor them.”) This just goes to show that there’s a lot of bull-headed ignorance to go around in this world, and that people in the U.S. can be as ferociously tribal and inclined to exact blood vengeance as any illiterate villager in Afghanistan. Barack Obama threw in his lot with the pro-war crowd early on in his presidential campaign, displaying his machismo (one’s tempted to say, “of the most ignorant, savage sort”) by coupling his limp criticism of Bush’s war in Iraq with a passionate embrace of the Afghan campaign. And then, hoping to at some point disengage himself from what could be the graveyard of his presidency, he announced his intention to turn over the war to trained Afghan forces. The problem is, these Uraz-types aren’t picking up the baton very capably. They can’t read. They’re not aware of or concerned about the outside world, or about fighting the west’s battles. They just want to be left alone. That’s an unlikely scenario. They know they cannot win militarily, and so must ultimately withdraw. Some anticipate a bloodbath when that happens. A repeat of Iraq is quite likely: a limited withdrawal leaving lots of troops within a context of ongoing civil war sparked by the U.S. invasion. Endless Afghan-on-Afghan bloodletting (Rumsfeld might call it “creative chaos”) contained just sufficiently to allow for gas pipeline construction. Eye-watering—by Western standards! So there are different “standards” of grief when children arekilled?Are people in the U.S. and Britain spilling tears over the routine missile strikes wiping out families in Afghanistan, showing exemplary, high standards of compassion? Sedwell’s comment reminds me of Gen. Westmoreland’s famous remark at the height of the Vietnam War that “The Oriental doesn’t put the same high price on life as does a Westerner. Life is plentiful. Life is cheap in the Orient.” Here is ignorance plus racism plus indifference to human suffering, all in the service of imperialism. The ignorance of the illiterate Afghan is by comparison benign and innocent.